GREENVILLE, S.C. – June 16, 2017 – Softbox Systems, an international temperature-control packaging provider, today announced it is expanding its Greenville County operations to house its U.S. and Canadian headquarters. To accommodate its rapid growth, the company is projected to create 70 new jobs. Softbox Systems has been designing and producing innovative high-performance, passive temperature-control packaging solutions for more than 20 years. With manufacturing locations in North America, Latin America, Europe and Asia Pacific, the company supplies cold chain packaging solutions to the world’s leading biotech, pharmaceutical, clinical research and logistics companies. The company’s new 65,000-square-foot U.S. and Canadian headquarters will be operational in the summer of 2018, and will house its U.S. executive team, production, warehousing and its fully-equipped advanced laboratory. Hiring for the new positions is already underway, and interested applicants should send their resume to info@softboxsystems.us. The Greenville Area Development Corporation is a non-profit organization established by Greenville County Council to promote and enhance the economic growth and development of Greenville County. 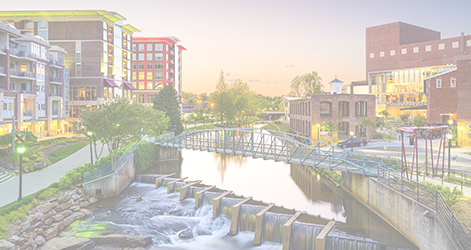 Since its founding in 2001, GADC efforts have resulted in the creation of more than 23,000 new jobs and more than $4 billion in capital investment in Greenville County, SC. To learn more, visit www.goGADC.com or call (864) 235-2008.